THE FIRST FORMAL disciplinary hearing against a teacher in Ireland is due to be held next week. Legislation dealing with fitness to teach measures were formally commenced by Minister for Education Richard Bruton in July 2016. Since then, in the region 50 complaints have been made to the Teaching Council. Of these, about half were dismissed while the remaining cases are still being considered. The case due to be heard at the Teaching Council’s headquarters in Maynooth, Co Kildare on Wednesday and Thursday next week is the first case to reach this stage. No details of the case have been made public. The fitness to teach process is similar to disciplinary procedures in place for the nursing and medical professions. Any person, including members of the public, employers and other teachers, may make a complaint about a registered teacher. Complaints cannot be made anonymously. Some 97,700 teachers are on the Teaching Council’s register. Teachers must be registered in order to teach in State-funded positions. If the director refuses the complaint, this decision can be appealed to the council’s investigating committee (which is made up of 11 members, mainly teachers). The director can themselves also refer the complaint to the committee. The committee has statutory authority to request information, reports and submissions, including in relation to medical matters. The committee can either refer all or part of the complaint to the council’s disciplinary committee for an inquiry or decide that no further action is required. If the investigating committee decides that no further action is required, this cannot be appealed. The teacher will be notified once a complaint has been received about them. In most cases, an inquiry will take the form of an oral hearing before a panel of the disciplinary committee. It is similar to a hearing before a court or a tribunal and witnesses will give evidence under oath. However, the teacher can ask that the inquiry take place by an examination of the relevant documents and written submissions rather than as an oral hearing. The committee will decide on the best way to proceed. Oral hearings will take place in public unless the teacher or a witness requests the panel holds the hearing or part of the hearing in private, and the panel is satisfied that it would be appropriate to do so. 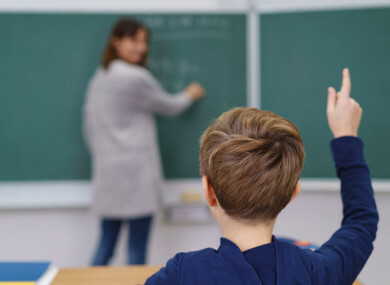 If a hearing is held in public, the panel may keep the identity of the people involved, including the teacher, confidential – naming them as ‘Teacher A’ etc. In most cases, minors are likely to be key witnesses. The panel overseeing the hearing will consist of three to five committee members. A complaint would have be proven beyond any reasonable doubt, making the threshold higher than in the UK – where a decision is based on the balance of probabilities. The teacher may appeal the panel’s sanctions to the High Court. The council will publish the final decision in the case once any such appeal has been completed, and/or it deems it to be in the public interest. Email “First 'fitness to teach' hearing due to take place next week ”. Feedback on “First 'fitness to teach' hearing due to take place next week ”.